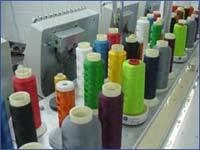 Raptor Embroidery is a 100% family-owned and run business operating out of Rockhampton, the Beef Capital of Australia. Our goal is to provide quality merchandise decorated or plain, at a price and with the service our customers expect. From standard styles through to upmarket quality, we’ve got all the best brands at Raptor Embroidery. 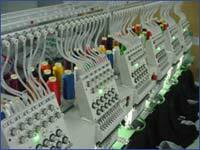 At Raptor Embroidery, we start by using a combination of the best suppliers and the latest decoration methods to provide the best products to our clients. We are committed to achieving the highest quality results for all your branding needs. Our staff are more than happy to help you find the perfect product to suit your special need. For your convenience, we provide on site digitizing. Our staff use state-of-the-art computer software to transform your design into an embroidered logo for application to the garment of your choice. Our friendly staff are more than happy to help you with all your embroidery needs. Whether it be that special gift or 2000 piece order, you will receive the same careful attention. We cater for individuals, business, schools, companies, sports teams, clubs and the retail industry needs.